This interview was for a concert by The Sons of Champlin on 1/3/15 at the Lobero Theatre in Santa Barbara, a show co-billed with his son Will Champlin. It was done by phone on 1/12/14. 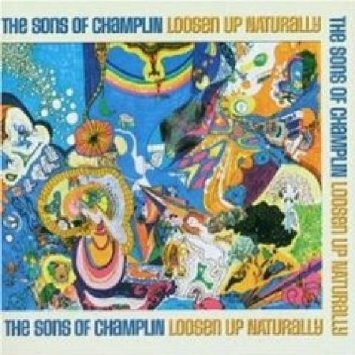 And if you haven’t heard The Sons of Champlin before or just need a refresher, the first song “1982-A” from their classic 1969 album Loosen Up Naturally is a good place to start – click here. And check out Will here and here. Bill Champlin: The Sons is a really, really great band. It always has been. We don’t do it all that often – we do maybe four or five gigs a year – but we rehearse like crazy for them. We bring this whole kind of vibe to the shows. Anybody’s who’s there who knows who we are is going to end up running into people that they know. It usually turns into a really great hang for everybody, especially the audience. We all end up running into people we haven’t seen in a long time – it’s really cool. And the music… ask any musician. “Those guys are ridiculous”, you know. It’s a cool band in a lot of ways. We actually used to play in Santa Barbara an awful lot, but we haven’t in a long time. JM: Does the current incarnation of the band include any other guys from back in the day? BC: Yeah, mostly me and Geoff Palmer. Geoff Palmer’s the other keyboard player, and plays vibes. It’s like, “Hey, it’s 10 o’clock. Do you know where your vibraphonist is?” [laughs] He’s a great musician. In the old days he played sax, bass, drums – you name it he plays it. He was really kind of almost a teacher for us when he first came to town, back in ’67. He’s in the band. The regular drummer just passed away earlier this year. We’ve replaced him with a guy named Alan Hertz, who’s a monster. He’s an absolute monster, who’s also going to be playing with my son who is co-billing the show with us, Will Champlin. If you don’t know him… Let’s put it this way, the tip of the iceberg is that he was one of the finalists on one of the seasons of the TV show The Voice this last year. He tore the place apart. But he’s so much more of a musician than just a singer on television. He’s a great player, and an unbelievably great songwriter. He’s done a lot of really cool things – he’s got great stuff going on. So he’s going to be playing also, and I think that’s going to tear up everybody. I mean, really, come out and see him – he’s worth checking out. He’s the next generation of bad boys. JM: I checked out a clip of him – yeah, he’s incredible. BC: Not only is he a great singer, but he’s also a monstrous piano player. I think on The Voice they try to play down everything but singing. That’s the title of the show, you know – it’s all about singing. And, yes, he’s an awesome singer, but, man, he’s one of the best piano players I know, and he plays great guitar. And he does some things where he’s almost going from a jazz ball kind of thing for a second, and then he goes into almost like a country thing – he’s playing banjo and mandolin and stuff. He’s really, really wide in terms of what he brings to the ballgame. He’s just a great musician, and I’m not just talking about it because he’s my kid. If he wasn’t that good, I wouldn’t be talking about him that much. He’s scary good. Whenever I need anything, I’ll usually call him and he’ll have it done in a second. Will played bass and Alan played drums on some stuff I was producing for somebody else about a month ago, and the tracks were ridiculous. He’s just an all-around monster musician. He’s really worth it. Even if you don’t know who The Sons are, just come check out Will – he’ll tear the place apart. JM: Well, it certainly seems appropriate that the son of one of The Sons is sharing the bill. So when you listen to the old Sons of Champlin music, at least on the first album, the horns are such a big part of the sound. Will you guys brings horns along to the concert? BC: Oh yeah. In fact, the sax player on the very first Sons album is back in the band, Tim Cain. He’s been back in the band for the last two or three years, and he’s a monster. He’s got that tenor sound – it’s kind of like Clarence Clemons except way, way in tune. He’s a monstrous player and a great arranger. He arranged all those parts that really got a lot of critical acclaim back in the day. Here’s an arranger that’s not arranging the normal stock, three-part regular fanfare kind of horn parts. He’s just a really, really good arranger. I do a lot of arranging myself, and sometimes when I get stuck in a corner I kind of go, “Well, what would Tim do here?” That usually ends up getting me out of trouble [laughs]. He’s really, really a cool guy. And then Jeff Lewis is playing trumpet, and he’s just a great musician also. So we have two horn players. JM: I’m a little too young to have experienced all the fun, but I’ve listened to the recordings. It seems that The Sons of Champlin had a different sound from most of the other Bay Area bands. From your perspective, how did you guys fit in with the rest of that scene, and were there other bands that you felt a particular camaraderie with? BC: Well, you know, like a generation later Tower of Power came down the pike, and they really took the R&B side of what we were doing and took it to the ballgame. Everybody knows what they sound like. Of course they had, what, three, four horn players. Their scene was a little different. Cold Blood was always working right around the time we were. And we kind of grew up listening to the James Brown band, and that horn and rock thing, and somewhere along the line I realized that R&B was just lyrically, I think, falling flat. It was just like, enough of this same song over and over again. Listen to any Wilson Pickett record and you’re not going to walk away going, “Those lyrics are going to change the world” [laughs]. “I’m a man and a half, baby!” So back in the day, when I was writing that stuff, I said, “Let’s see if we can come up with the kind of lyrics that Dylan was doing”, or some of these writers that were writing more worldly and maybe even more spiritual kind of lyrics, and let’s tag them onto the kind of music that we liked. So that’s sort of where we made that crossover to deeper lyrics, but still kind having that same R&B feeling, which I think has always been a mainstay of The Sons’ music. I’ll still write a crazy old R&B song occasionally, and if you’re a songwriter you write all kinds of different things. I mean, I went from writing real deep stuff for The Sons, and then I go to Los Angeles and got down here and I start writing regular love songs, and a couple of them ended up being Grammy-award winning songs, so that kept me in the ballgame. But in this day and age, even when I wasn’t playing with The Sons, whenever I started writing a lyric which seemed to be up and at ’em, a little bit of a different vibe, every once in a while I’d go, “Well, here’s one that I should save for The Sons. This has got The Sons written all over it.” So that’s one of the things that makes The Sons move, makes it go forward. JM: Looking at the first Sons album, the songs were credited to Steve Tollestrup. BC: We were dealing with a publishing deal that we didn’t want on. Steve was a roadie for the band at the time. JM: I was curious what the story was with that. BC: I actually wrote all but “Hello Sunlight”, that Tim wrote. The rest of the songs on that are actually mine. JM: I guess the statute of limitations is over now [laughs]. BC: Long over. I don’t even know if they’re copyrighted at this point [laughs]. Who knows. They give you 26 years and then another 26, and then after that it’s supposed to go public domain, although there’s been a lot of arguments so I don’t think that’s still going on. I think they’re still mine [laughs]. JM: It seems that copyright can be a confusing matter. BC: Along with everything else in the music business these days. A lot of it’s just a way for the suits to get their hands on your money again. I mean, we don’t want to go into it on this round, but all this Pandora / Spotify routine is getting pretty old. Musicians are like, “I’m kind of done with this. This is just getting out of whack.” The guy who’s running that company made like 19 million dollars last year, and there’s 72 million streams of a Lady Antebellum song and the writers got six thousand dollars. And the CEO of the company, who’s driving a Bentley, is in Washington trying to cut that six thousand by 85%. It’s like, wow, give me a break. C’mon, you know. Somehow, something came down somewhere along the line in the last ten years or so where they said, “We’re not going to let musicians have any money anymore.” [laughs] “They’re better when they’re hungry.” [laughs] Maybe that’s what it is. They were saying, “Man, if we just keep them hungry, they’ll write better songs”, you know? JM: The Sons got back together in the 1990’s. What prompted that reunion? BC: A businessperson, I think Rita Gentry, said, “I can get you a handful of gigs. Why don’t you guys do a reunion?” And we did, and we had such a ball doing it that we went, “Let’s keep playing.” So we kept playing and had kind of the basic band, and then around 2000 [guitarist] Terry Haggerty decided to bail out, so at that point we put in Tal Morris, who played with us about a year and a half, maybe two years. Tal was on a couple of albums – the Secret album and the Hip L’il Dreams album. He was a great guitar player, and he went on to play with Creedence Clearwater Revisited for maybe the next ten years. Then we put Carmen Grillo in on the heels of Tal. Carmen I’ve known for years, since he was just a kid. He’s an awesome guitar player, and a great singer, too. So we’ve got the best of both worlds coming out of him. Carmen tears it up every time. He’s just a ridiculous guitar player. He’s a great rhythm player. He played ten years with Tower of Power, so his rhythm playing is at the top of the foodchain. And then when he plays lead it’s just unbelievable. He just goes crazy. So it’s great to have Carmen in the band. Plus, hey, he was the best man at our wedding [laughs]. That was a few years back, so it’s kind of cool. And, boy, when you hear Geoff Palmer on vibes and piano, he’ll scare you to death. He’s always been one of the best musicians I’ve ever known. One of the most hip natural soloists ever. He takes you on a trip. He’s just as good as it gets. And don’t let anyone get the wrong idea. Just because we’re talking about really good music doesn’t mean that this is a jazz band. It really isn’t on any level. Because sometimes people talk about this stuff and then you go and hear them, and you’re hearing like smooth jazz. This is anything but smooth jazz. This is really original stuff, and it’s just pounding, it’s just slammin’. It’s a groove. JM: This isn’t directly related to The Sons, but I have to ask you about your time in the band Chicago. 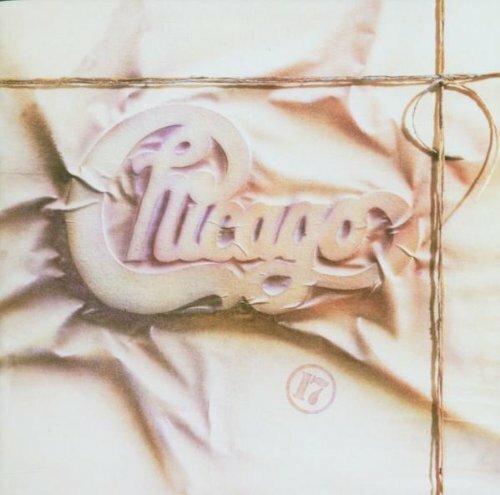 Back when I was growing up everybody had a copy of Chicago 17, and of course you were a part of that and other of their albums. What are your reflections on that particular album, and your subsequent career with Chicago? BC: Well, I got the gig with Chicago… First of all, they called me and said, “Hey, we want you in the band,” and I said, “I don’t do sideman stuff.” They said, “Oh no, we want you as a full member of the band,” so I became a full member of the band. And then [Chicago drummer] Danny [Seraphine] called me and said, “What do you think David Foster would be like as a producer?” because I had just come out of doing my second solo album with David Foster. I said, “Foster would be great, but he’s going to change…” I’d been to a rehearsal and heard a lot of the songs that they were writing, and I said, “Take most of those songs and throw them away and start over. That’s probably something you’re going to need to do, because David’s going to start pointing you in a much better direction just in terms of creative songwriting.” That’s really what David brought to the ballgame, and I had worked with David almost exclusively for the last four or five years. He brought me in on almost all of his other projects as a vocal ringer, because I’d spent a lot of time just doing vocal dates down here in L.A. It was back when records were being made, so it was pretty major. So I kind of got into that L.A. scene of doing record dates all the time, and a lot of them were with David and Jay Graydon, and different people like that. I had some success as a songwriter, both with David and with Jay. Jay was a producer of Al Jarreau’s records, and they were real close friends. So those two guys I worked with a lot, and that turned out to be a really, really cool time for me. So I said, “Let’s bring David in to Chicago”, so David did 16, 17, and 18. 18 would’ve been through the roof had [Peter] Cetera hung out, but I think Peter had had enough. He was done with it. So that was really cool. That time, there was a lot of stuff going on, and with Foster in the ballgame that made a big difference. That kind of went on for a little while, and I got a handful of hits when we had Ron Nevison producing. There was some new stuff going on, and then at some point in the game the band just sort of went back to being a tribute band to themselves. And I was becoming more unhappy with it all the time. It wasn’t moving forward, there was nothing moving forward. And, you know, playing your old songs is one thing, but even when we put out 17 the management suggested that we didn’t play any of the songs. Cetera said, “We’ve got to let the audience know that we believe in the record, or we’ll never sell the record.” So we did a handful of songs on the tour that people didn’t really recognize for a minute, and then all of the sudden the radio kicked in and boom, the rest is history. JM: Did you read Danny’s book about Chicago? JM: Well, in the book he’s also pretty hard on himself. BC: You know, he’s back playing, and he’s playing great these days. I love how he’s playing now. Danny brings a certain kind of random excitement to his thing. All of a sudden, in the middle of a song where it would normally would just be playing along and keeping time, all of a sudden some flurries would start to happen, and it was like, “Whoa!” He just brings excitement to that same material, which I think is a lot better than just being completely careful. [Current Chicago drummer] Tris [Imboden] is a great drummer, he’s a wonderful drummer with Chicago, but they really don’t let him do anything but what the exact album was – it’s almost note for note what they want him to do. For me, it just got boring, I guess. JM: You mentioned that you did session and songwriting work, and you had two huge songs that you co-wrote – “After the Love Has Gone” and “Turn Your Love Around”. Are there any other sessions or songs that really stand out to you from that period? BC: Well, I mean I was working for all kinds of people. I did a bunch of dates for Donna Summer, I did a bunch of her records. At the time I was working with Lee Ritonour. There’s a song called “Is It You”, a real big hit that Lee had that I wrote and did backgrounds on. I did work for Elton John – I sang on “Little Jeannie” and a few other pieces that Elton did. It was right around the time that he was on Geffen Records, for two albums. That was really fun. There was some good music there. The guy’s quite a musician, you know? I just did a lot of dates. I did one day where I was doing Donny & Marie in the morning, and Della Reese at night [laughs]. Wow! How about that? It was kind of when Donny & Marie were doing sort of bubble-gummy stuff. I was working on Shaun Cassidy and Leif Garrett, that kind of thing. At some point in the game I was taking every date. Because I was living in L.A., I’d just moved from Marin County, I really needed to make some money, and suddenly this little sort of studio career started to come through, while I was waiting to do a solo album. So I kind of got into that, and the next thing you know I’d become a bit of a vocal arranger. I still get calls, “Hey, man, can you bang out some backgrounds for me?” “Yeah, give it to me, I’ll load it up in my system and knock them off and send them back.” That’s kind of what I’ve been doing for a long time. I didn’t come down here to become a vocal arranger, but somehow things just ended up being that way. BC: January 3rd. I guarantee it’s going to be a really cool thing. We’re just trying to get people to come out. It’s a couple days after New Year’s. People may still have a hangover for all anybody knows, but it’s really worth checking out. You’re going to get two really, really different kinds of musical approaches. It’s really cool. JM: Then I understand that there’s also an event with Eddie Tuduri coming up. BC: Yeah, the next month [Bill’s wife] Tamara and I are going to sit in on a TRAP gig. Eddie has always been into charity, and he’s built this one charity that takes kids [with intellectual and developmental differences] and gets them around rhythm instruments [to learn]. He’s really got some results from this. It’s February 6th [at The Hill-Adobe in Santa Barbara, 4:00-7:00PM; also with Tata Vega and Carl Graves – call 805-962-1442 for tickets]. Eddie’s a sweetie pie. Man, he’s giving and giving and giving. That’s just who he is. It’s really awesome. I love Eddie. And he’s a good drummer. Somewhere along the line he was surfing and hurt himself. He’s been walking with a cane ever since, but he can still get behind the drumset and tear the place apart.